As nice as it is to think that movies made for kids aren't bogged down with secret meanings or dark themes, movie fans can see their childhood favourites in a completely different light once they take a second look. Whether it's intended or not, these theories are too good to leave unexamined. Here are Screen Rant's 10 Movie Theories That Completely Change Children's Films. When people think of Disney mermaids, the ones in the animated version of Peter Pan aren't the first ones that come to mind. But they were the first, showing their talent for trouble making, a distrust of mortals, and a fear of pirates. And one of them looks an awful lot like Ariel, the star of The Little Mermaid. So much so, fans have theorized that the resident of Neverland is actually Ariel's mother, Athena. The mother isn't introduced until the straight to video sequel The Little Mermaid II: Return to the Sea, where she is eventually killed by - you guessed it - pirates. If the theory is true, and Athena left the fantasy realm just to be killed... she really should have stayed put. Most of the magical spells in the Harry Potter series were created from scratch, but the most evil curse - "Avada Kedavra," the 'Killing Curse' - actually sounds pretty familiar. But why would the most cruel magical spell ever concocted sound just like "abra cadabra," the famous shorthand known by every western fan of magical fiction? Fans have connected the dots, deducing that wizards and witches weren't always kind to Muggles, some imagining they even killed everyday people for sport (with their deadly curse becoming famous as a result). More optimistic fans claim the curse was used to 'kill' infections before Muggles got wise to magic. So fans can take their pick. But it isn't just Harry Potter who makes out like the hero of the series, thanks to one fan theory based directly on the books. Most fans will remember Neville Longbottom as a bumbling, but lovable sidekick who eventually let his good heart make up for his lack of magic. But remember: a wizard's wand matters too - that's why it's supposed to choose its user. But Neville chose to use his father's wand instead, which was probably the reason for his disastrous magic. It was only after he purchased a wand of his own that he joined Dumbledore's Army, battled Death Eaters and became an all around top tier wizard. It turns out Neville was a master spellcaster the entire time. It's a happy story, but Finding Nemo begins with a heartbreaking scene, as Nemo's mother is killed along with the rest of her eggs, leaving Nemo to be raised by his father, Marlin. At least, that's what you're meant to think. But after watching Marlin's whole adventure, some have pointed out that it's a close parallel to the stages of grief - as in, the way he would have to come to terms with losing Nemo, too. Was Marlin searching for an imaginary son the entire time, unable to accept that he'd lost his entire family? There isn't much actual evidence to support it in the story, but it's too dark to not mention. 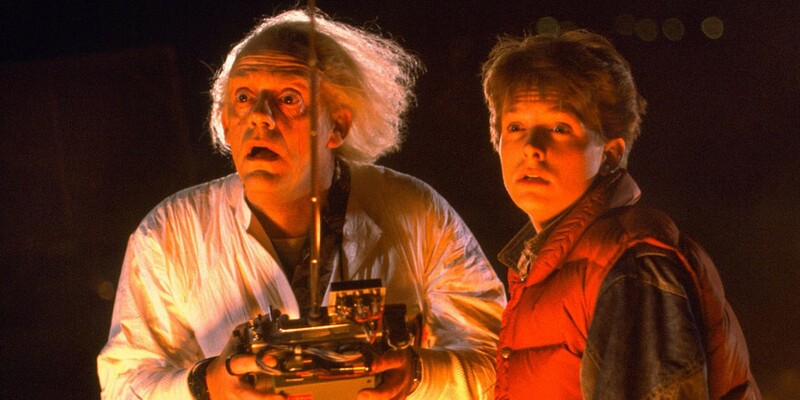 Nobody ever asked how a teenage boy and an elderly scientist/failed inventor became best friends, but there wasn't much time before Back to the Future's Doc Brown sent Marty McFly back in time to wonder. But take a closer look at the DeLorean's first trip through time: Doc makes Marty stand beside him staring down the speeding car, with it disappearing just in time. Since every other one of his inventions failed, fans claim, he would've had to think the same might happen here. Apparently, Doc had reached his breaking point, making sure that if this invention was also a bust, he wouldn't live to make another. And he'd be taking Marty with him. Talk about heavy. Even fans would agree: there is something very off about Willy Wonka. But some people claim that Wonka isn't just weird, but a cold blooded killer. He never seems too surprised, or even bothered when the children on his factory tour wind up hurt or possibly killed. Once fans realized that his Oompa Loompas would have needed time to rehearse their songs, describing which children were harmed, and how, the theory was complete: long before the Saw movies, there was Willy Wonka, and his chocolate factory death trap - only kids allowed. You don't have to be a kid to love Star Wars, but George Lucas clearly hoped that one character in his prequel trilogy, Jar Jar Binks would be a hit with young fans. Instead, he became a punching bag for the prequels as a whole. But what if fans were right to hate the Gungan klutz? It may sound like a long shot, but the theory that Jar Jar was faking his stupidity, and working for the Dark Side all along has gained a lot of steam - even making it to Lucas himself. But if it's true that Jar Jar and the Emperor were working together all along, the franchise's creator isn't letting the secret out any time soon. Peter Parker's journey from geek to superhero is a dream come true for every comic book nerd, but when he hit the big screen, some fans came to believe that it was a more universal story being told. Peter doesn't start getting powers until he hits high school, when he develops serious feelings for a childhood crush, grows into a man's body overnight, and starts spending more and more time alone in his room. It seems a pretty clear metaphor for boys hitting puberty. And even without the sticky webbing... it's a hard case to argue. The toys take the spotlight in Pixar's flagship Toy Story, but there are humans, too: Andy, the boy who owns the toys, and his mother and sister. But most fans have wondered about Andy's father (or the lack thereof). It's nothing new for a Disney movie to have a parent or two out of the picture, but the man's absence is never explained, or even mentioned. Some fans have taken that fact as a sign that Andy's father either left the family, or passed away long before the first movie - explaining his connection to strong, honorable, father figure dolls like Buzz and Woody. One Pixar writer has supported that idea, so this theory isn't as far fetched as some might think. We've saved the most incredible theory for last. Everyone knows how Kevin McCallister survived a Christmas Home Alone, using paint cans, nails, tar and blowtorches to turn his house into a torture chamber for two attempted burglars. But it wasn't his last foray into building a human mouse trap. That's right, some fans believe Kevin grew up to become 'Jigsaw,' the murderous mastermind of the Saw movie series. Once you factor in Kevin's serious rage issues, it's the best kind of theory: one that makes both movies seem even more amazing - whether it's true or not. Those are some of the most entertaining and convincing theories based on kids' movies that we've found, but which ones have we missed? Let us know in the comments, and be sure to subscribe to our YouTube channel for more videos like this one.